One of the charms of Amalfi Harbour is its amazing mix of boats. Superyachts grace the outer breakwater and further along are all kinds of visitors, power and sail, fast and sedate. Inside lie sleek rows of motor boats. 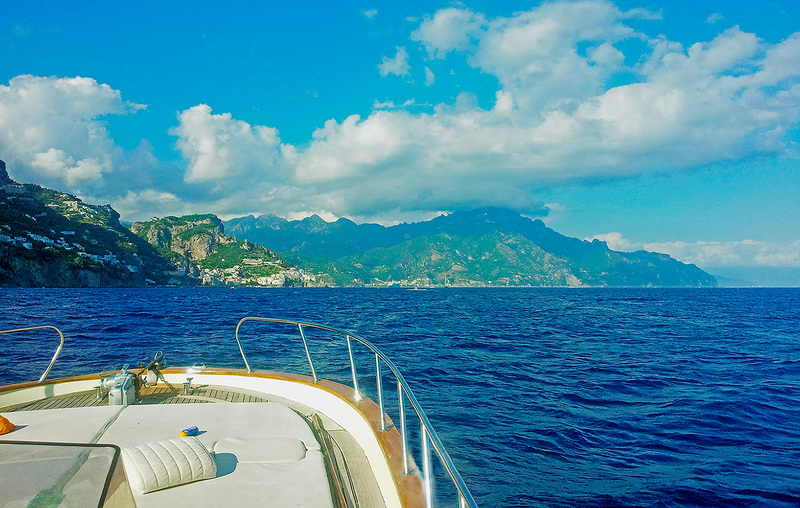 Ferries arrive and leave almost continuously – fast jets to Salerno or Capri, launches to Positano and the traditional ‘slow’ ferry to Capri, a fine old ship whose two slow-revving diesels have been in service since the 1950s. Popular with Italian holiday-makers, Amalfi is alive with family chatter, terrace cafés and buzzing scooters. You enter the lower town through an arched tunnel, emerging into a bustling piazza where a wide sweep of steps leads to the cathedral. Then a narrow main street climbs to the upper town, with steps and alleys leading off to secret corners. Trattorias are plentiful and you’ll eat well almost anywhere. Campania is renowned for its fine produce and cheerful wines, while the Amalfi Coast lands excellent fish. Cruising west you pass the most mountainous stretch of this coast around Capo Sottile, where the scars of Monte San Angelo seem vertical as you approach Positano. This fashionable resort has no real harbour except the ferry jetty, but the anchorage east of the town is one of the most spectacular in the Med. Superyachts look like model boats below the 1,500 metres of San Angelo. This anchorage is practical as well as sensational, because of a shallow coastal ledge skirting the bay between Positano and Capo Sottile. This inshore strip has modest depths from 12-15m, so anchoring is straightforward and secure. Yet not far offshore soundings plunge to 80m and a mile south of Sottile the submerged valleys are over 700m deep. 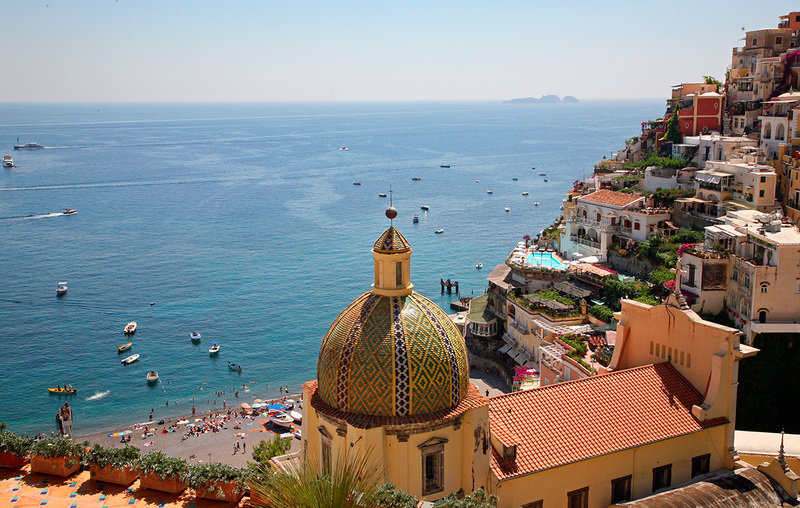 Positano is worth exploring and you can land by dinghy at the ferry jetty or beach. Many wealthy Italians have holiday villas in the quieter fringes of Positano, high above the seafront tourist shops. Here you become pleasantly lost in the meandering upper town, where cobbled alleys are bright with bougainvillea and lively talk echoes through open shutters.